The Hoffman Estates Park District partners with local area businesses, offering the opportunity to introduce their products and services to the community and associate their brands with a most respected and loved community organization. For information, contact Carina Graham at (847) 285-5477. Why Align Your Brand With the Park District? Through the variety of marketing channels we use, we are able to reach our market through multiple communication touch points, increasing recall. Our events and programs are popular and highly anticipated. 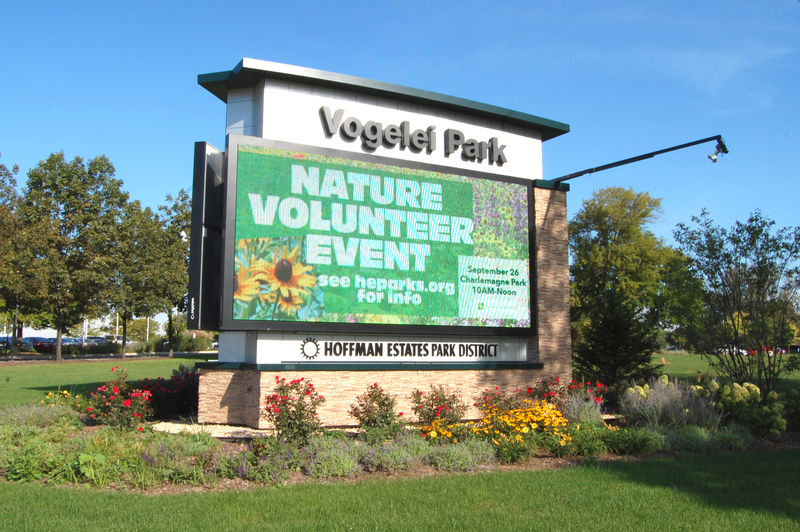 We reach all resident households with direct mail, special events, well-attended programs and widely used facilities; the Hoffman Estates Park District reaches residents in Hoffman Estates, Schaumburg, Elgin, Palatine and South Barrington. The Hoffman Estates Park District offers a wide variety of cost-effective marketing opportunities for all businesses. the community, which advertisements in other media cannot do. Offering healthy and enjoyable experiences to residents and guests by providing first class parks, facilities, programs and services in an environmentally and fiscally responsible manner. 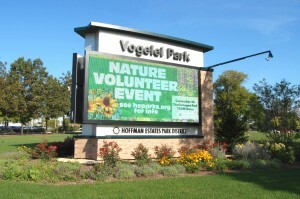 The Hoffman Estates Park District offers businesses the opportunity for advertising within a variety of Park District facilities, as well as its two large format digital jumbo screens, 10’x2-‘ on high traffic streets: Triphahn Center (Higgins Road), Vogelei Park (Higgins and Golf Roads). Primary Space as well as shared space options available. The Hoffman Estates Park District seasonal program guide is direct mailed to approximately 27,000 households in Hoffman Estates. Our four-color, attractive Program Guide is highly anticipated each season. 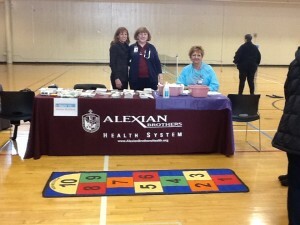 It is a resource with a long shelf life that families refer to for months. information the Park District provides. The Friends of HE Parks provides a unique opportunity to sponsor events, purchase a Giving Tree leaf and much more. Learn more here.